According to Syrian state media, three suicide bombers strike in a hotel in a northern city and casualties are feared, The Associated Press is reporting. #UNSC - sp envoy Brahimi briefs Thursday on prospects for political talks on #Syria conflict, after disappointing last round in Geneva. Beirut-based Al Mayadeen said on its website that its cameraman Omar Abdelqader was shot in the neck on Saturday and was pronounced dead in hospital shortly afterwards. Syria was the deadliest place for journalists in 2013 for the second year, the Committee to Protect Journalists, a media rights group based in New York, said in December. At least 29 journalists were killed last year in a three-year-old conflict that turned into civil war after a crackdown on peaceful protests, and has claimed more that 140,000 lives. Al Mayadeen quoted a local Syrian military commander as saying Abdelqader was shot by a sniper while he was filming government forces advancing on an area in the rebel-held city. His sister was quoted as saying the family was preparing to celebrate his 27th birthday when news of his death arrived. 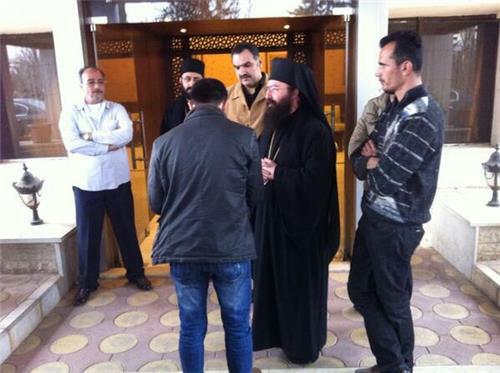 #Syria the nuns of Maaloula will reach he border within an hour . 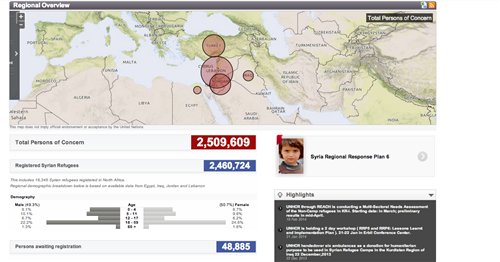 Nearly 2.5 million people have fled Syria to Egypt, Iraq, Jordan, Lebanon or Turkey since the conflict erupted in 2011. By the end of 2014, Syrian refugees are expected to number more than 4.1 million. “Syria has become the great tragedy of this century — a disgraceful humanitarian calamity with suffering and displacement unparalleled in recent history,” said Antonio Gutteres, the United Nations High Commissioner for Refugees, last September. Of the current refugees, more than 1.3 million are under the age of 18. Syria’s children, both refugees and those internally displaced, desperately need access not just to basic necessities but to education as well. Many of the Syrian children have been out of school for almost three years now. And, according to the United Nations refugee agency, two-thirds of school-age Syrian refugees are not getting any education. During a visit to the Zaatari refugee camp in Jordan late last year, the U.N. envoy on youth, Ahmad Alhendawi, emphasized the need to ensure that young Syrians have access to education and vocational training. Yet prioritizing education to support refugee youth is a hard sell in emergency-response efforts. Only 14 percent of the $4.26 billion required to implement the Syrian Regional Response Plan has been allocated, according to the U.N. The proposed allocation for education under the plan (9 percent of total funding) is relatively small compared with other priority sectors such as food (28 percent). This is a reflection of competing priorities and the lack of emphasis placed on secondary education or the employability needs of youth under the U.N.’s Education for All initiative and the Millennium Development Goals. Humanitarian relief is typically about serving immediate, short-term needs. Education, however, is another integral part of relief requiring long-term investment with returns that will take years or even decades. Given the protracted crisis in Syria, the public education systems in Egypt, Iraq, Jordan, Lebanon and Turkey face decisions that could commit them to 10 to 15 years of providing education to Syrian refugees. This raises critical questions about which curriculum to use (the Syrian national curriculum or the host-country curriculum, with its language variances), whether to hire national or refugee teachers, and which post-primary options to make available. Meanwhile, these countries’ formal education systems are already grappling with overcrowded classrooms and overage children as well as linguistic, cultural and religious differences. Syria will miss a major deadline next week in the program to destroy its chemical weapons production facilities, sources at the Organization for the Prohibition of Chemical Weapons said on Thursday. Syria declared 12 production facilities to the OPCW and has until March 15 to destroy them under a deal agreed with the United States and Russia. Damascus has already missed several deadlines laid out in the agreement. "That will definitely be missed," said an official involved in discussions with Syria, referring to the March 15 deadline. The official, who asked not to be identified, said there were seven "hardened" aircraft hangars and five underground facilities. "None of them have been destroyed at the moment," the official said. All sides fighting in Syria's civil war are using shelling and siege tactics to punish civilians, and the United Nations Security Council (UNSC) "bears responsibility" for allowing such war crimes to continue, a U.N.-appointed human rights commission said Wednesday. The independent investigators, presenting their most recent report documenting atrocities in Syria, specifically called out the UNSC for failing to refer grave violations of the rules of war to the International Criminal Court (ICC) for prosecution. "The Security Council bears responsibility for not addressing accountability and allowing the warring parties to violate these rules with total impunity," Paulo Pinheiro, who leads the U.N. commission of inquiry, told a news conference. "One of most stark trends we have documented is the use of siege warfare, the denial of humanitarian aid, food and basic necessities such as medical care and clean water have forced people to choose between surrender and starvation," he said. The UNSC, whose five permanent members wield veto power over resolutions that could force the international body to intervene on behalf of Syrian civilians, is divided over the conflict, with Russia — and to a lesser extent China — blocking measures aimed at punishing Syrian President Bashar al-Assad’s government. More than 140,000 Syrians have been killed in the conflict, which enters its fourth year next week. Intense fighting has caused an estimated 2.5 million Syrians to flee the country as refugees and has left 6.5 million people internally displaced. As the civil war and humanitarian crisis rage on, Syrian doctors are struggling to care for the mentally ill and traumatized, Reuters reports. It was cold and dark in the psychiatrist's office in downtown Damascus. The electricity had just gone out, a regular occurrence these days in the Syrian capital, and he wore a jacket and scarf for warmth. Patients used the light from their mobile phones to climb a narrow staircase up five floors. The doctor, who asked that his name not be used, says his clients used to drive from all over the country. But Syria's civil war means many can no longer reach the capital across frontlines. When pro-democracy protests started three years ago, Syrians had access to government-subsidized health care. But in the armed revolt that followed a government crackdown on the protesters, many hospitals have been destroyed, and psychiatric facilities have become almost non-existent. Family networks have also collapsed under the pressure of war. Like other Arab countries,Syria had a long tradition of community involvement in the individual's wellbeing. But since the war began, communities have been uprooted and entire villages and towns have been destroyed, leaving society's most vulnerable people without a safety net. The demand for psychiatric care has never been greater. Psychiatrists find themselves overwhelmed by cases of war-related trauma. Today in Damascus, it is not unusual to see flyers with photos of patients who have disappeared after being displaced. Even the more fortunate patients who live at home in relatively safe central Damascus, with access to the few remaining psychiatrists, find the stress of war can precipitate a crisis. In the case of Sawsan, a 40-year-old woman living with schizophrenia, the sounds of war trigger her agitation and paranoia. "On bad nights, when we can hear a lot of shelling and gunfire, she gets stressed," her mother said. "(Sometimes) she locks herself in her room for days, barely coming out to eat. It's been very difficult for us." Syria has shipped out about a third of its chemical weapons stockpile, including mustard gas, for destruction abroad, the global chemical arms watchdog said on Tuesday. The Organisation for the Prohibition of Chemical Weapons in The Hague said Damascus had now handed over six consignments of the toxic agents it declared to the OPCW as part of a Russian-U.S. deal struck last year. The OPCW said it had confirmed two more shipments headed for the northern Syrian port of Latakia. They are to be transferred to the U.S. ship MV Cape Ray and commercial destruction facilities in the United Kingdom and Germany. Syria had also submitted a revised plan to remove all chemicals from its territory by the end of April 2014, the OPCW said. That proposal was being negotiated at an executive council meeting at the OPCW that began Tuesday morning. But Western diplomats said the revised timetable was too slow for several Western countries, which say the chemical agents must be shipped out by the end of March if a final June 30 deadline agreed for complete destruction of Syria's chemical weapons program is to be met. The United States said it needs 90 days to destroy roughly 500 metric tons of the most poisonous substances in the arsenal of Syrian President Bashar al-Assad. Syria declared a total of 1,300 metric tons of chemical weapons to the OPCW, the Nobel Peace prize winning body that is jointly overseeing the destruction process with the United Nations. Syria criticized United Nations Secretary-General Ban Ki-moon, accusing him of taking sides in the country’s three-year civil war. The Foreign Ministry statement came after Ban today appeared to pin more of the blame for failed peace talks that began in January on the delegation of President Bashar al-Assad. The two parties, “particularly” government representatives, “have not been constructively engaging in the dialogue,” Ban said in Geneva. The ministry, in remarks reported by the state news agency SANA, said Ban’s comments were “regrettable,” adding he should’ve addressed the roots of the Syrian conflict by pushing for the implementation of UN resolutions on eradicating terrorism. The Syrian government frequently portrays its opponents -- who include local rebel fighters and Islamist groups that have joined by war -- as terrorists allied to al-Qaeda and backed by Saudi Arabia and other Gulf states. “Syria will continue its fight against terrorism by all means even as it seriously seeks a political solution and national reconciliation,” the ministry said in the statement. A second round of peace talks ended inconclusively last month after the government team refused to discuss a transitional administration that would replace Assad. Both sides blamed each other for the lack of progress. No date has been set for further talks, which sought to explore ways to end a conflict that has killed at least 140,000 people and driven more than 2 million into neighboring countries. A British man once held at Guantanamo Bay turned human rights campaigner told a court in London on Saturday he would plead not guilty to providing training and funding terrorism in Syria, police said. Moazzam Begg, 45, who was released without charge from the U.S. military prison in Cuba in 2005, was detained at his home in Birmingham in central England last week and charged with terrorism offences dated between October 2012 and April 2013. He appeared at Westminster Magistrates Court on Saturday and was remanded in custody to appear at London's Old Bailey criminal court on March 14. It is the first time he has ever faced any charges. Begg was held by the U.S. government at Bagram detention center in Afghanistan, then Guantanamo Bay in Cuba, for nearly three years after being arrested in Pakistan in February 2002 suspected of being a member of al-Qaeda. After his release, he founded Cage, a human rights organization that campaigns for the rights of people detained during counter-terrorism operations. Cage accused British authorities of "retraumatising" Begg by refusing to grant him bail, saying this was part of a campaign to criminalize legitimate activism. "This is a politically motivated arrest and very much bears the hallmarks of trying to criminalize legitimate Muslim activity by reinforcing a climate of fear," said Asim Qureshi, research director of Cage. Begg was one of four Britons arrested last Tuesday in central England on suspected Syria-related terrorism offences. Another of those, 44-year-old woman Gerrie Tahari, also appeared in Westminster Magistrates Court on Saturday charged with facilitating terrorism overseas. "When asked to give an indication of how they intended to plead they both replied not guilty," said a statement from West Midlands police. Tahari was also remanded in custody to appear on March 14. Two other men, aged 20 and 36, who were arrested the same day, remain in police custody, police said. The arrests came as concerns mount in Britain over the number of its nationals travelling to Syria to help rebels fighting President Bashar al-Assad. Police fear they may become radicalized by Islamists or attend terrorist training camps before returning to Britain where they could pose a security risk. British police had already arrested 16 people on suspicion of terrorism offences related to Syria this year, some as young as 17, compared to 24 such arrests in all of 2013. Security assessments estimate that up to 500 Britons have gone to Syria in the past two years of which about half are thought to have returned home. This number includes those engaged in aid or humanitarian efforts. British law was changed last year to make it easier for the government to confiscate the passport from anyone whose "actual or suspected" activities are deemed contrary to the public interest. GAZIENTEP, Turkey — Syria’s rebel fighters have, over the past two months, suffered some of their heaviest casualties of the three-year civil war — not at the hands of the Assad regime, but in fierce internecine bloodletting that has put opposition medical resources under strain. The rise of the Islamic State of Iraq and the Levant (ISIL) — an armed group so radical that it has been disowned even by Al-Qaeda — has turned the war against the regime of Syrian president Bashar al-Assad into a complicated multi-front conflict where rapidly changing alliances and allegiances have led to confusion on the battlefield and an escalating casualty count. “We are now in the middle of a war with (ISIL) — it’s more severe than any fight with the regime,” said Salaheddin Safadi, a Syrian neurologist who directs a hospital and rehabilitation center run by the Liwa Tawhid, or the “Monotheists Brigade,” in the Turkish border town of Gazientep. The brigade is a part of the Islamic Front, a loose alliance of some 13 rebel groups claiming a combined strength of up to 60,000 fighters. ISIL’s actions have become so divisive among rebel groups that the official Al-Qaeda affiliate in Syria, the Nusra Front, issued an ultimatum on Feb. 25 demanding that the group accept mediation to end the infighting or face expulsion from the region by Nusra fighters. The Nusra Front has been designated a terrorist organization by the U.S., but has stayed out of the fighting between ISIL and other opposition groups. In response to the Nusra ultimatum, ISIL fighters reportedly withdrew from some areas in northern Syria on Friday. An Islamic Front fighter from Tel Rifaat named Mohammad said the Islamic State had put the town under siege. Syria has agreed a new timetable to remove its chemical weapons by late April after failing to meet a deadline to ship out the arsenal earlier this month, diplomats said on Wednesday. Under a U.S.-Russian deal reached after a chemical weapons attack killed hundreds of people around Damascus last year, President Bashar al-Assad's government should have handed over 1,300 tonnes of toxic chemicals by Feb. 5 for destruction abroad. But only three cargoes have been shipped out of the country so far, barely 10 percent of the total stockpile declared to the Organisation for the Prohibition of Chemical Weapons (OPCW) overseeing the process along with the United Nations. Amid growing international frustration at the slow pace of progress, Syria last week submitted a new 100-day plan to remove the remaining chemicals, which would have set a target of late May or early June for completion. But the OPCW said the work could be done quicker, despite fighting between Assad's forces and rebels seeking his overthrow. Diplomats said the latest timetable would see Syria committing to transport most of the remaining chemicals to its Mediterranean port of Latakia by April 13, from where they would be shipped out for destruction. Consignments from two sites where security was precarious would be delivered to Latakia by April 27, they said. The diplomats also said two more shipments were expected to leave Latakia port on international vessels by the weekend. "There's likely to be some movements in the next few days," a senior Western envoy said. "This is something on which the Russians are continuing to keep up the pressure on the regime." "This process is going forward, it hasn't been completely derailed." No OPCW spokesman declined to comment. Assad agreed to destroy his chemical weapons following global outrage over a sarin gas attack in August last year. The world's deadliest chemical attack in 25 years, it drew a U.S. threat of military strikes which was dropped after Assad - who blamed rebels for the attack - pledged to give up chemical arms. The latest timetable appears to be a compromise between Damascus and Western powers who said last week that the shipment of the chemicals could be completed by the end of March. The United States has sent the MV Cape Ray, a ship outfitted with special equipment to neutralize the worst of Syria's chemicals at sea, and says it will need 90 days to complete the destruction. Today, a shipment of the Syrian Arab Republic's stockpile of sulphur mustard, commonly known as "mustard gas," has left its territory. I welcome this shipment as an important step in the elimination of the Syrian Arab Republic's chemical weapons programme, said Special Coordinator Sigrid Kaag. The Joint Mission looks forward to the Syrian Arab Republic continuing its efforts to complete the removal of the remaining chemical materials in a safe, secure and timely manner, through systematic, predictable and high0volume movements. The Joint Mission encourages the Syrian Arab Republic to maintain momentum in implementing UN Security Council Resolution 2118 (2013) , and the relevant Decisions of the OPCW Executive Council. UN says a shipment of #Syria 's stockpile of mustard gas left its territory today. Hezbollah said Wednesday that Israel carried out an airstrike targeting one of its positions near the border with Syria earlier this week, vowing to retaliate. The attack, which Israel has not acknowledged, is the Jewish state's first reported air attack inside Lebanese territory since the start of the Syrian conflict three years ago. The airstrike which occurred Monday night caused material damage but no casualties, according to a statement issued by Hezbollah. Israel has fired artillery across the border, and carried out similar airstrikes inside Syria targeting suspected weapons shipments believed to be bound from Syria to Hezbollah in Lebanon. Hezbollah, allied to President Bashar Assad in Syria, has been battling alongside his troops in areas near the border and has lost at least several hundred fighters. The reported airstrike near the border was initially met with silence by Lebanese and Hezbollah officials who declined to confirm if or where it had happened. But on Wednesday, Hezbollah said the attack took place near the eastern Lebanese village of Janta. It denied media reports that any artillery or rocket positions had been hit or any casualties resulting from the attack. The porous border is frequently used by fighters and smugglers to move people and weapons between Lebanon and Syria. The area is a bastion of Hezbollah support and the group is known to have several outposts and training camps there. Arab media reports said Hezbollah had suffered casualties, though neither the group nor the Lebanese military confirmed an airstrike had actually taken place. "We will retaliate for this Israeli aggression, and the resistance will choose the appropriate time and place as well as appropriate means to respond," Hezbollah said. The Israeli military declined comment on the Hezbollah claim. Israel and Hezbollah fought a monthlong war in 2006 that ended in a stalemate. Israeli officials believe Hezbollah has restocked its arsenal with tens of thousands of rockets and missiles, some of which are capable of striking virtually anywhere in the Jewish state. Although Israel has refrained from taking sides in the Syrian civil war, Netanyahu has repeatedly vowed to take action to prevent Hezbollah from obtaining "game changing" weapons from its ally Syria. Past Israeli airstrikes are believed to have targeted Russian-made anti-aircraft missiles and guided missiles from Iran. Israel has never confirmed the airstrikes. According to the United Nations Refugee Agency, the official number of refugees from Syria has hit 2.5 million. The United Nations Security Council united for the first time on a resolution on Syria's humanitarian crisis Saturday, unanimously demanding that President Bashar al-Assad's government and the opposition provide immediate access everywhere in the country to agencies delivering aid to millions of people in desperate need. The fate of the Western- and Arab-backed resolution rested with Russia, Syria's closest ally, and China, another supporter. They decided to join the rest of the 15-member council in sending a strong message to the Assad government that food, medicine and other essentials must not be blocked for civilians caught in Syria’s three-year conflict. The resolution does not threaten sanctions – Russia insisted that this reference be dropped from the original Western- and Arab-backed text – but it does express the council's intention to take "further steps" if the resolution is not implemented. U.N. Secretary-General Ban Ki-moon told the council immediately after the vote that the resolution "should not have been necessary," because "humanitarian assistance is not something to be negotiated – it is something to be allowed by virtue of international law." "Half the country's people need urgent assistance," he said. "Host countries need support in caring for more than 2.5 million refugees." The U.N. chief said it is "profoundly shocking ... that both sides are besieging civilians as a tactic of war." The three authors of the UN Syrian humanitarian aid resolution addressed the media Saturday afternoon, saying the United Nations Security Council has been united. The council wanted a resolution that would bring about real change, but that will only happen if the resolution is fully implemented, according to the co-authors. 'There will be consequences' if the resolution is not implemented, they stressed. 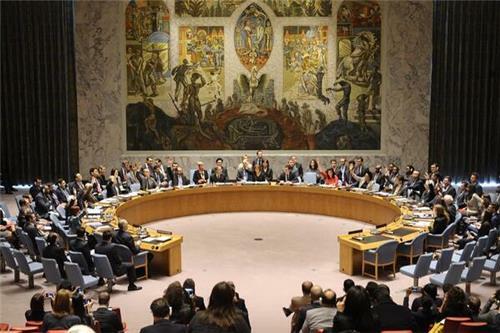 “I welcome the unanimous adoption by the UN Security Council of resolution 2139. This is a vital step towards ensuring that humanitarian aid reaches millions of Syrians in desperate need of help, including those who have been denied their basic human right to food and medical aid. “The adoption of this resolution, on the initiative of the UK and our close partners, sends a clear message that the Assad regime cannot be allowed to starve hundreds of thousands of its own people into submission. “Our priority now is the full and immediate implementation of the resolution. “I call on the Assad regime to cease the indiscriminate use of aerial bombardment across Syria, including the barbaric use of barrel bombs, and immediately adhere to the obligations set by the Security Council and allow free and unfettered access for all humanitarian agencies. “We will not hesitate to return to the Security Council if the Assad regime fails to meet the demands in this resolution. Mahmoud used to be a mechanic in the Syrian town of Qusair. Today he’s using those skills to fix a truck that belongs to a friend of his landlord’s. Helping him are his 12- and 15-year-old nephews. It’s a Tuesday afternoon and they’re not in school, because there is no school they can attend. Thirty-year-old Mahmoud (whose name has been changed to protect his identity) finds work wherever he can. So do his children and his nephews. They’re all Syrian refugees who arrived in Lebanon six months ago with not much more than the clothes they were wearing. Mahmoud’s family and his brother’s family live amid a few scrawny cherry and apricot trees on a windswept patch of a farmer’s field near the Bekaa Valley city of Baalbak, across the border and about 35 miles from Qusair. The stark camp looks like a scene out of John Steinbeck’s Depression-era tale “The Grapes of Wrath,” with a mangy dog guarding the plot’s perimeter, marked by a rusting barbed-wire fence. Mahmoud’s daughter, Hamra, doesn’t attend school either. She stands near her mother and looks on as her cousins work on the truck. She wants to show visitors that she has contributed to the family’s survival as well. Holding up her hands, she demonstrates how she weaved dried tobacco into bunches last fall. She was working with her family — her mother, cousins and 7-year-old sister were all employed by tobacco farmers in the area. Hamra is 5 years old. Her family was given the equivalent of $2 for every three hours she worked. Iran has boosted its military support in Syria, according to Reuters. As Syria's war nears the start of its fourth year, Iranhas stepped up support on the ground for President Bashar al-Assad, providing elite teams to gather intelligence and train troops, sources with knowledge of military movements say. Assad's forces have failed to capitalize fully on advances they made last summer with the help of Iran, his major backer in the region, and the Hezbollah fighters that Tehran backs and which have provided important battlefield support for Assad. But the Syrian leader has drawn comfort from the withdrawal of the threat of U.S. bombing raids following a deal under which he has agreed to give up his chemical weapons. Shi'te Iran has already spent billions of dollars propping up Assad in what has turned into a sectarian proxy war with Sunni Arab states. And while the presence of Iranian military personnel in Syria is not new, military experts believe Tehran has in recent months sent in more specialists to enable Assad to outlast his enemies at home and abroad. Analysts believe this renewed support means Assad felt no need to make concessions at currently deadlocked peace talks in Geneva. When asked point blank what the United States' goal is in Syria — whether it is to end the civil war or to unseat Assad — Carney said Syria's future cannot include Assad. There's no possibility in our view that a transitional government could include Assad, Carney said, saying that view is the view of the Syrian people. White House spokesman Jay Carney hedged Tuesday when asked what can be done to pressure the Assad regime, short of a military solution. He said the United States is continuing to support the moderate opposition and work with its various partners. When asked what the 'plan B' is following last week's talks in Geneva, the spokesman for UN Secretary-General Ban Ki-moon said we should push ahead, and Ban 'remains convinced' that the Geneva 2 process is the way to go. The spokesperson also hedged on when international mediator Brahimi would travel to New York to brief Ban on the Geneva 2 process, saying he hasn't heard any specific dates.
.@UN Brahimi concluded 2nd round of #SyriaUNConf today asking all parties to go back, reflect and take their responsibilities. According to The Associated Press, the Syrian peace talks are in doubt after the delegations' sixth day in Geneva. U.N.-Arab League mediator Lakhdar Brahimi ended direct talks between the Syrian government and opposition Saturday without finding a way of breaking the impasse in peace talks. Saturday's talks, which lasted less than half an hour, left the future of the negotiating process in doubt and no date was set for a third session. Afterward, Brahimi told a news conference that he had proposed an agenda for another round of talks that would focus first on ending the violence and terrorism, then on how to create a transitional governing body. "Unfortunately, the government has refused," he told reporters, saying he would now seek consultations with the United States and Russia, the main sponsors of the peace conference, and the United Nations to see how to proceed. "I think it is better that every side goes back and reflects on their responsibility (and if) they want this process to continue or not," Brahimi said. "It's not good for the process, it's not good for Syria, that we come back for another round and fall back into the same traps that we have been struggling with." But he also made clear that he did not want to lose another week or more before negotiations could resume. International mediator Lakhdar Brahimi said on Saturday the first two rounds of Syrian peace talks had not made much progress but that the two sides had agreed on an agenda for a third round at an unspecified date. Brahimi said the last session of the second round of talks in Geneva was "as laborious as all the meetings we have had, but we agreed on an agenda for the next round when it does take place". He said the points to be discussed included violence and terrorism, the transitional governing body, national institutions and national reconciliation. However the mediator said the Syrian government wanted to first deal with the issue of combating terrorism and had refused to deal with any other points until that was resolved. "I apologize that these two rounds have not come out with very much," he said. The three-year-old Syrian conflict has killed more than 130,000 people and is destabilizing the country's neighbors. The mainly Sunni Muslim rebels have drawn support from radical Sunni groups such as al Qaeda and other foreign militants. Shi'ite countries and militias have thrown their weight behind President Bashar al-Assad, who is from Syria's minority Alawite sect, an offshoot of Shi'ite Islam. Brahimi said both sides at the peace talks needed to reflect on their responsibilities. He said he hoped this would "lead the government side in particular to reassure us that when they speak of implementing the Geneva Communiqué they do mean a transitional governing body, exercising full executive power, will be the main objective". International mediator Lakhdar Brahimi said the Syrian government refused his suggestion for day one of the third round of peace talks to be used to discuss terrorism and day two to discuss the transitional governing body, according to Reuters.